My experience is that it’s best to let ideas flow freely onto the page (or the screen as the case may be), and then to “organize” them after all that wants to come out is out. 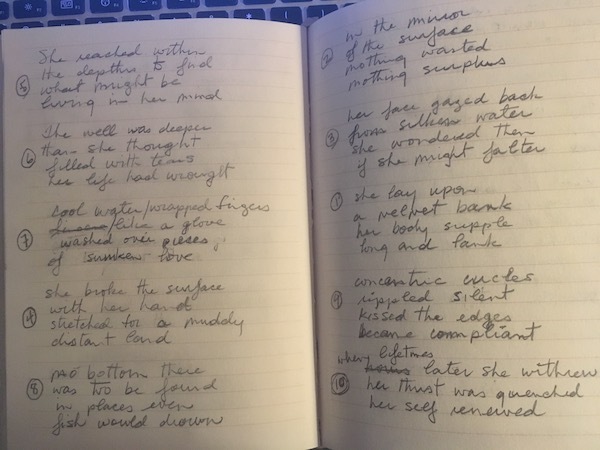 To illustrate my point, I flipped through one of my poetry notebooks to find a piece in which the final order of the stanzas was nothing like the order in which I had written them. 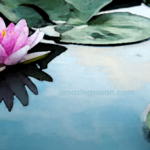 My process is to write the poem in pencil (allows for erasing and changing! ), and then, when it feels finished, to number the stanzas in the order I think they belong (see the picture under the poem below to know how I wrote this one originally).